After her mother’s tragic death, Dani Wilde had no choice but to abandon her dreams. She left Columbia University and returned to her family’s Montana cherry farm, intent on being a maternal figure to her brothers. Now the kids are grown, and it’s finally her time to fly. Her sights are on New York City, and nothing will stop her—not even an old flame with gorgeous green eyes. Celebrity photographer Ben Denton hasn’t seen Montana in years—and hasn’t spoken to Dani since “that night” so long ago. When he discovers he’s a dad to a four-year-old—and the child’s mother refuses to care for her—Montana and the Wilde farm spring to mind. The orchard is the only place that’s ever felt like home, but will the warmth of the Wilde family be enough to help Ben figure out how to be a father? As the Wilde family gathers for the yearly cherry harvest and Dani struggles to figure out what she really wants in life, she discovers the shocking truth about her own mother—and learns that following her heart may lead her to her dreams after all. Montana Cherries is a book with characters that pull you in and become your friends, your family. They are so well developed and clearly depicted that you feel like you know them and that you are a part of their lives. The story of Dani and Ben is not a simple romance. Each has a past and challenges that need to be overcome before they can be a successful couple. Ben knows what he is facing; he knows he has a lot to learn as he faces the challenge of being a single dad to his four-year-old daughter. Dani, on the other hand, has a past that sneeks up on her - she has managed to remember her past with rose colored glasses and when faced with reality finds that not much in her life was how she remembered it. The one place she always turns for comfort though is Ben. She recognizes their connection, but is bound and determined to live her dream - even if that means breaking Ben's heart. 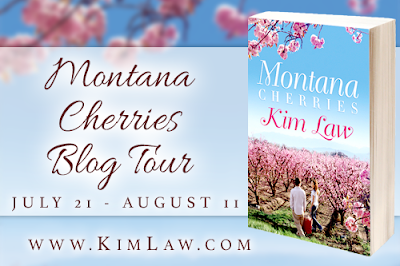 Reading Montana Cherries was an unforgettable experience - I felt joy, pain, excitement, and sorrow right along with the Wilde family and Ben. I thrilled at Jenna and Haley's friendship and Ben's small successes with his daughter. I felt the ache of betrayal as Dani came to understand the reality of her past, and I cried tears of happiness when love and healing were realized. Honest disclosure~ I recieved a copy in exchange for my honest review. As a child, award-winning author Kim Law cultivated a love for chocolate, anything purple, and creative writing. She penned her debut work, “The Gigantic Talking Raisin,” in the sixth grade and got hooked on the delights of creating stories. Before settling into the writing life, however, she earned a college degree in mathematics and then worked as a computer programmer. Now she’s living out her lifelong dream of writing romance novels. She’s won the Romance Writers of America’s Golden Heart Award, has been a finalist for the prestigious RWA RITA Award, and has served in varied positions for her local RWA chapter. 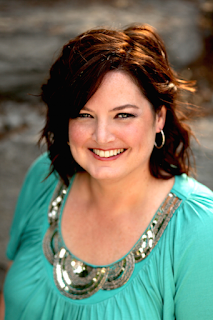 A native of Kentucky, Kim lives with her husband and an assortment of animals in Middle Tennessee.